Are you planning to opt for a customized team wear for your sports team or club? There can be no better idea that this. By customizing your apparel you would be in a position to give your creativity a boost but at the same time you will be able to stand out in the crowd. For taking your custom made clothing and sports wear to another level, think of dye sublimation process of printing. This is the best way to print your design most effectively. Almost all the popular wholesale clothing manufacturers and suppliers offer sublimation printing services to their customers. It is a latest form of printing which is specially recognized for its unlimited scope of designing as you can print all types of graphics in wide range of colors and shades. Here, the images have a photographic look and appeal. In sublimation printing, first images are printed onto the sublimation paper. Then the heat transfer machine is used to transfer the graphic from the paper onto the fabrics under high temperature. The ink on the poster turns to gas under extreme temperature while it transfers the images from the paper to the fabrics. If you print an image in this advanced technical process, it will have a permanent printing effect, which will look bright and new for ever. 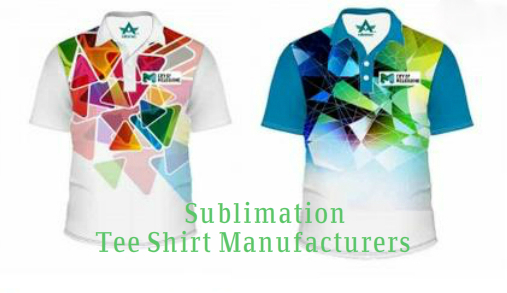 Suppose you want to order a custom sublimated printed t-shirt, or a custom red sublimated jacket, you can easily browse the net and get hundreds of wholesale clothing suppliers who are offering sublimation printing clothing. You only need to choose the right one who has better facilities, lower rates or special discounts. The expert team of designers will provide you al types of assistance while you design your customized attire. You can download the designs and choose the exotic color combinations in a most striking ways which simply has no limitation. Then put the names, numbers, logo and the images you want on the exact location of a custom sublimated printed t-shirt as you wish. If you want to print it on the pocket or on the back or somewhere down the length every thing is possible in this technically advanced printing method. Sublimation printing clothing, looks brighter and catchy too. The quality of the prints has an excellent quality which no other process can offer. Not only that, it also offers you a huge scope of designing liberty by which you can print all types of images including texts that is more than enough to make people crazy. The color is never lumped on the design while an image is getting printed through sublimation printing on t-shirt and it always has a classy look!